He made his career in the halls of Congress. Originally he wanted to be an ambassador, but the twists and turns of life led him to put his skills as a lobbyist and entrepreneur into practice. He learned to navigate between political power and economic power, a talent that opened space for him to found his own television channel and begin a series of investments that would lead him to become the first black "billionaire" of the United States. His name is known in the White House, the Capitol, the Donald Trump Golf Club, the Clinton house. Robert L. Johnson, who has been a historic donor to the Democratic Party, has invested in hotels, restaurants, properties, the NBA and banking. The businessman, who has been involved in bitter legal battles for money with people from his inner circle, is also a media character that sometimes generates controversy with his statements. Like the one he did a few days ago, when he said that the Donald Trump government has benefited African-Americans economically. Johnson's father cut and sold wood, while his mother was a teacher at a school in Mississippi. Later they moved to Illinois in search of better opportunities and found work in a factory. His first job was as a newspaper distributor when he was a child and at age 19 he worked in a store called Burgess Battery. "My job was to keep the floor clean," Johnson said. In a short time, he got bored and put in his sights the entrance to the university. First. he entered the University of Illinois, where he discovered that he wanted to make a diplomatic career and become an ambassador. With that goal in mind, he went on to pursue a master's degree in International Studies at Princeton University. After finishing his studies, he moved to Washington D.C., where he got a job as an assistant in Congress and then a job as vice president of the Cable Television Association. When he learned how the television business worked, he set out to create his own station and that was how in 1980 he founded Black Entertainment Television (BET), a channel aimed at African-American audiences. To launch the project, Johnson convinced cable television mogul John Malone to invest in his company. A decade later, his television channel became the first company with an African-American owner to enter the New York Stock Exchange. 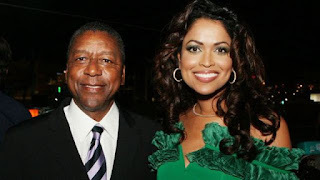 The firm continued to grow until Johnson sold it, becoming the first black billionaire in the United States in 2001, with a fortune estimated at that time at US $ 1,300 million. Johnson continued as CEO of the company until 2005, while developing other businesses in parallel. One of them was the purchase of an NBA team, the Charlotte Bobcats, but as the team's commercial value began to fall, he sold his shares to basketball legend Michael Jordan. "The best decision I've made since I bought the Bobcats was to convince my friend Michael Jordan to invest in the team," said the businessman. Johnson's business was going well, until the international financial crisis of 2008 hit him hard and reduced his fortune to less than half. From then on, the magnate left the list of billionaires of Forbes and it was difficult for him to recover his fortune. He is currently the owner and president of the financial assets management company RLJ Companies and participates in several boards. His success story has not been exempt from harsh criticism. Relatives, examiners and ex-partners, have said that he is an extremely ambitious person. The three original vice presidents of his television channel, including a sister and a girlfriend, sued him in court in 1992, alleging that he cheated them financially. Johnson denied the accusations, but finally had to pay them about US $ 4 million to reach an agreement. In another case, a group of 65 workers of the channel denounced it for anti-union practices, as well as extended working hours and low salaries. Although in the last four decades Johnson dedicated himself to business, he never left political lobbying, and as he increased his fortune, higher came to position among congressmen and White House officials. Last week, Johnson said the working conditions of African-Americans have improved with Trump's economic policies. "In more than 50 years, these two things had never happened: such a low level of unemployment and a narrowing of the gap between the unemployment of whites and African-Americans." The businessman praised the current business climate in his country and highlighted the government's tax cut. "I think the economy is following a path of strong growth," Johnson said. Despite the sympathy, he can show for both sides, the businessman usually expresses a rather pragmatic vision when speaking to African-American voters. "We should use the power of our vote to support and elect any party that best responds to our interests," wrote Johnson, a man who has always used a direct tone to say what he thinks and despite his 75 years, not It seems to have intentions to retire.